The large and cosy holiday home, of which you are the sole occupier, is situated on what used to be public lands of the municipality Waldeck. 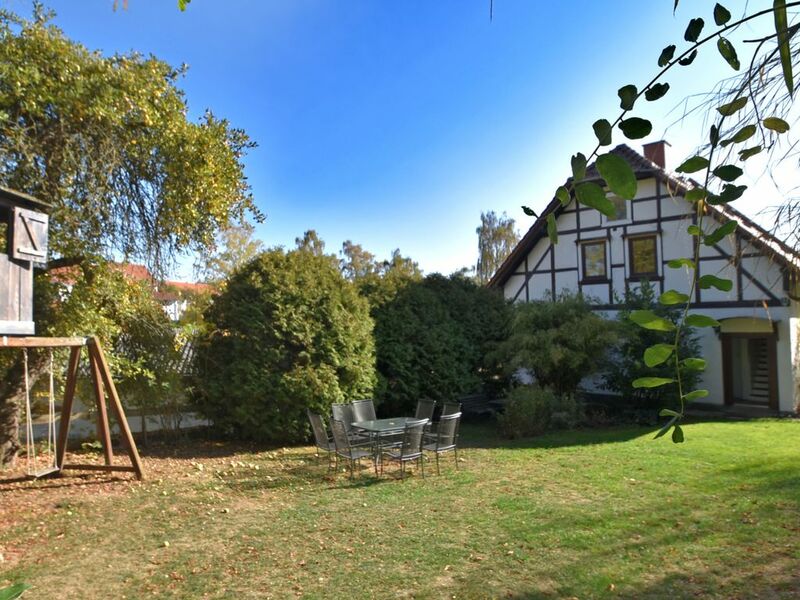 The house is located in a very quiet area in the village Netze, only 5 km from the beautiful lake Edersee. The spacious rooms have been furnished with great taste and offer you plenty of space. Due to its spaciousness, the house is suitable for one or two families travelling together. The fireplaces in the living room and on the upper floor create a cosy atmosphere. The extensive garden has several seating areas, an outdoor fireplace that can be used as a grill, and a sturdy tree house - a guarantee for a carefree holiday. In the summer, it also makes a perfect base for hikes through the nearby nature park or for activities such as water sports on the lake. In the winter, the ski slopes around Willingen can be reached by car in only 45 minutes. Excursion destinations: Edersee, TreeTopWalk in Edertal, Waldeck Castle, Kellerwald-Edersee National Park, the Weidelsburg castle ruins, Bad Emstal with its thermal bath. very friendly owners who were always ready to help and tips for excursions in the neighborhood. We were with our 4 children and were all very friendly welcome from the eigenaren.Het house feels very welcome and warm. Mains is central to many great attractions. Great cities, lovely villages, the Edersee.Daarbij very good weather throughout the week. Was in our opinion too short. Wir sind mit Freundinnen in dem Ferienhaus gewesen. Das Haus ist hübsch eingerichtet und mit Feuer im Kamin haben wir gemütliche Abende erlebt.